Eight & Sand Watch Co. is a boutique watch company located in the heart of downtown Vancouver. The company was born from the collaboration of local artisans, designers, craftsmen and watchmakers. E&S specializes in custom timepieces that are handcrafted to each customer. When Eight & Sand came to us looking for a new website one of the things they needed was a custom watch builder. 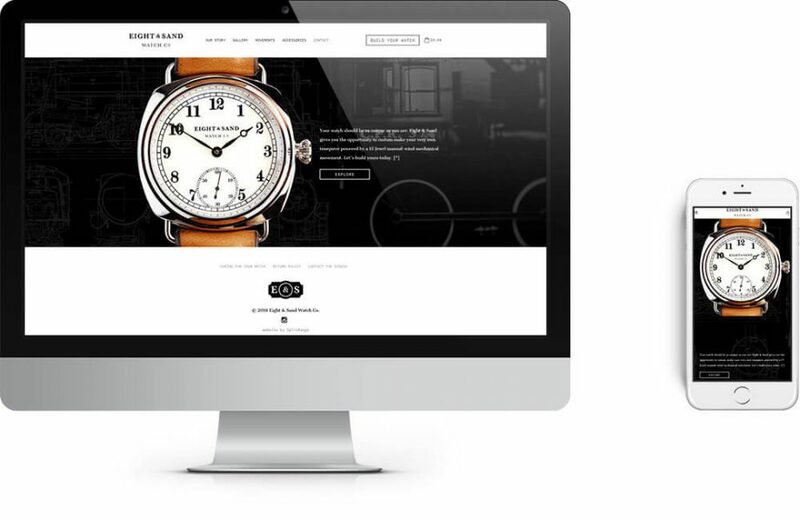 They were looking to allow users to create a custom watch and order it through Shopify with a unique watch building experience. The website design utilized muted colours, black and white predominantly, to give out a vintage and classic vibe. Like the E&S watches themselves, it’s uncluttered, functional, utilitarian and clean. The watch builder takes center stage. The customer is given the opportunity to be part of the process of designing their watch. Each customizable part of the E&S watch is presented with plenty of options, which can be chosen and previewed instantly. At any given point, they can choose from different combinations until they are happy with the watch they created – a truly personalized item. 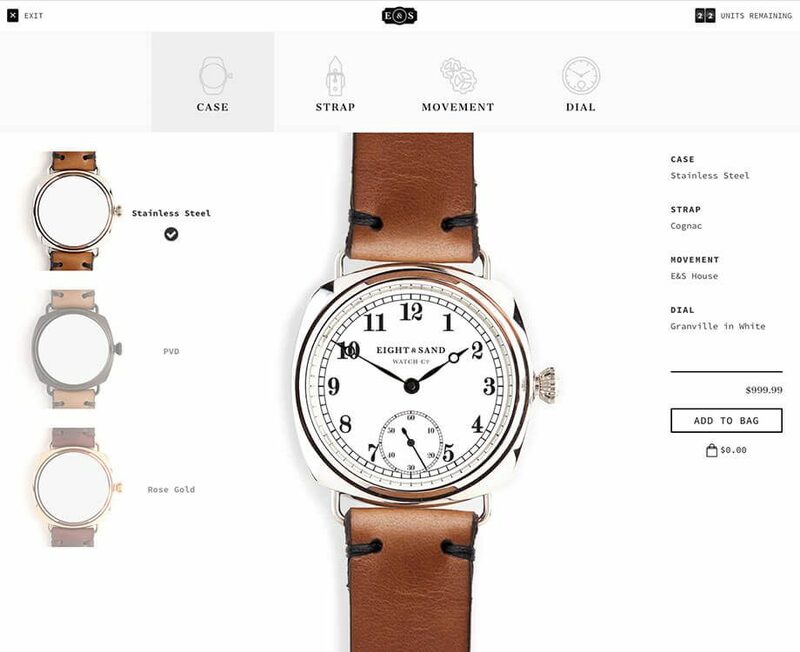 E&S is powered by Shopify, with some creative coding to make the watch builder come to life. 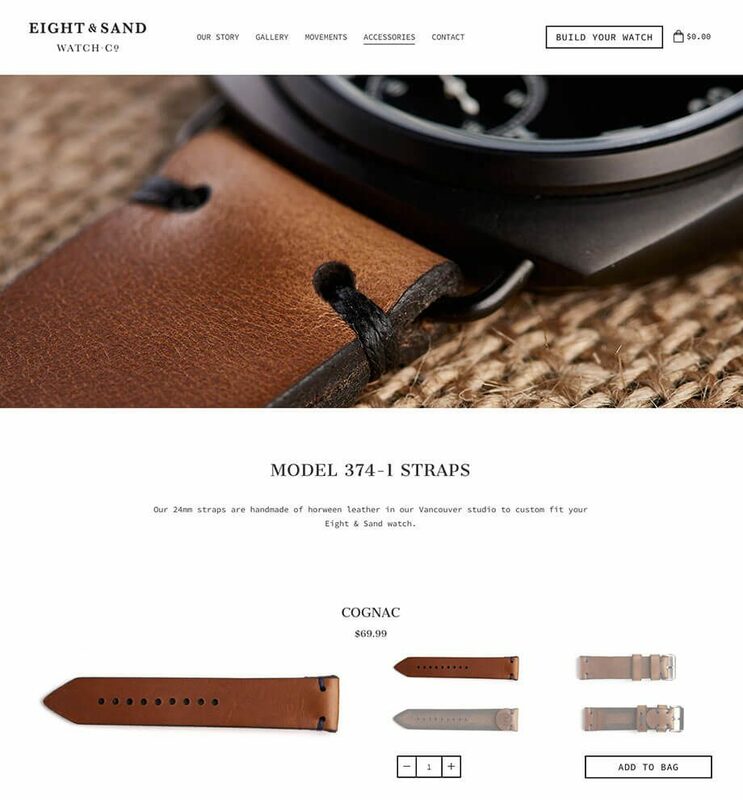 Each customizable watch component is a product variant. Unlike the out of the box Shopify variants that displays as select dropdown, we are able to break them down individually. This gives us the freedom to implement custom graphics to each variant. Development and functional planning meeting proves to be the key of the project. As once we planned out the logic behind the makings of the builder, it was a fairly straightforward development process.